Essential is a smartphone company still in its infancy, backed by influential people in the mobile tech industry. At Essential's event, President and COO of the company Niccolo De Masi emphasized that Essential was created to give consumers more choice among today's smartphone duopoly. We have to give Essential credit where it deserves: the company was first established 18 months ago and to be hitting North America with carrier deals is a huge feat in itself. The Essential PH-1 has the latest Qualcomm Snapdragon 835, 4GB of RAM, and 128GB of internal storage. There's also a decently sized 3,040 mAh battery. With these specs, Essential is hoping that the PH-1 will last more than a standard yearly cycle. Essential knows what it's getting into: the US market is a very difficult one to succeed in. Will Essential be able to elbow its way through as the smartphone brand for consumer choice, or will Essential subtly blend into the background? Only time will tell how the company (and, more importantly, the PH-1) will age. We wish Essential the best of luck in its inaugural year! With that said, let's dive into Essential's hardware: that of the PH-1. Let's start off with the design choices that Essential made with the PH-1. 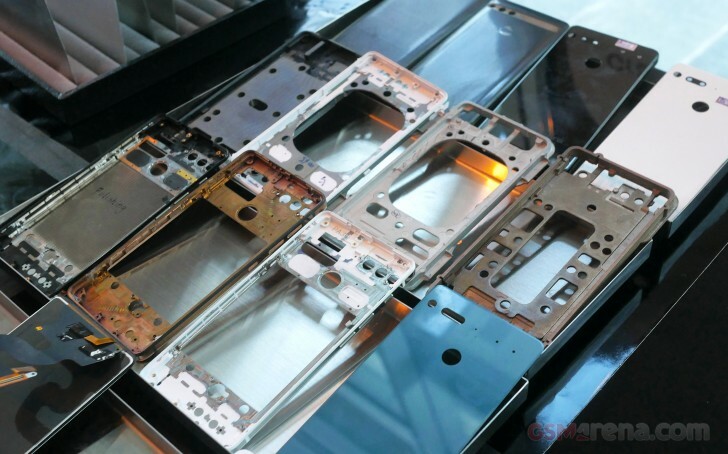 The phone is made of a titanium chassis that is reinforced with plastic. The Titanium is then grinded and polished all the way around, which also shaves the plastic parts down to their antenna inserts around the frame. Titanium is harder than both stainless steel and aluminum: the go-to materials when it comes to smartphone manufacturers. In fact, commercial grade titanium carries a hardness of about 9 on Moh's scale of hardness, which is just as hard as sapphire glass. As a reference, Gorilla Glass 5 has a hardness between 6 and 7 while diamond has a hardness of 10 on Moh's scale. In addition to the Titanium body, the phone's backside is made of a sheet of ceramic. We saw a rep take the ceramic piece and flex it far past where any sheet of glass would have before shattering. In combination with the Titanium body, this means (should you drop the Essential phone) you won't be stuck with a shattered back glass or a scuffed corner on the device. This ceramic back piece is also much less susceptible to casually scratching when placed on a surface. 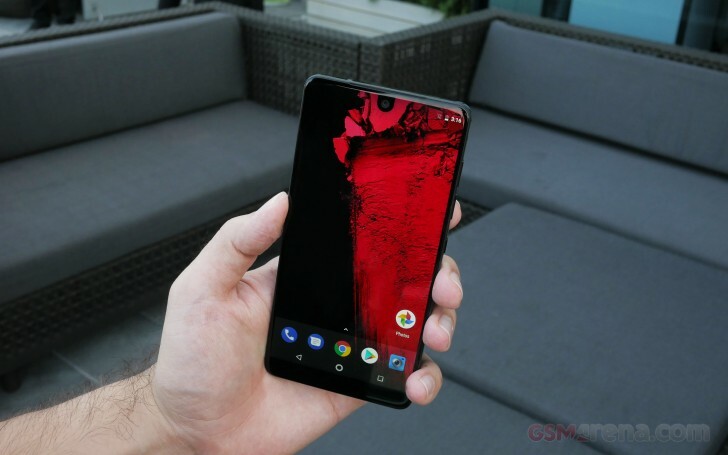 Essential is a smaller start-up smartphone company, which the company attributes to its ability to use titanium and ceramic in its manufacturing processes. These are not materials that are massively produced, so it's easier to source and process for this lower volume company. Considering that both ceramic and titanium are noticeably heftier than their cheaper and lighter counterparts, you'll definitely feel the heft upon picking up the PH-1. In addition to feeling the heft, the phone did not feel fragile in my hand, the added heft made the phone feel like it could certainly take a beating. There's an overall boxy theme to the phone's design: every side is flat (This gave us iPhone 4 vibes). The back ceramic sheet is fitted into the frame, which gently curves up toward the edges of the phone. This gives a soft edge all the way around the phone which helps make it easier to hold. The only physical buttons present on the PH-1 are the power and volume keys, which are all on the right edge of the phone. The left and top sides of the phone are blank while the bottom edge is home to the loudspeaker, single USB-C port (no headphone jack) SIM and microSD card tray, and an in-call mic. The backside definitely looks different than the other smartphone out there. In addition to the absence of any carrier or manufacturer branding, the back camera, fingerprint scanner, noise-cancelling mic, and pogo pins (for the 360 camera accessory) are all arranged symmetrically and thought went into every component's placement. The front of the phone is what separates it from the competition, although, you'll only be able to tell once the screen has been fired up. The PH-1 has a near-edge-to-edge 5.71-inch display (2560×1312px) with an unusual 19:10 aspect ratio. The corners of the display are rounded like the Galaxy S8 and the LG G6, but Essential notched a front-facing camera and earpiece right into the display. Software-wise, there was nothing that let the phone stand out. Other than having stock-vanilla Android and no more than a total of 20 pre-installed apps, there isn't anything more in the software that takes advantage of the larger screen. Sure, stock Android already has multi-window covered, but we feel that software should take advantage of Essential's unique form-factor. Maybe Essential plans for this in a future update. The 360 camera accessory piggybacks right onto the Essential PH-1 which connects to those pogo pins we saw on the back of the phone. The pogo pins supply power while the PH-1 communicates with the accessory via some form of USB-wireless, which adds a natural lag when docking the accessory, or looking through the 360 viewfinder. We briefly got to play with the 360 camera attachment and it was not a cohesive experience, but given that the products are just now in the process of making it to market, we'll give Essential time to improve on this. The camera attachment will also work with Essential's Home assistant device, which the company is yet to release. We really enjoy the form factor that Essential has concocted. The phone feels different enough to stand out while its aesthetic choices of titanium and ceramic are more durable than conventional smartphone materials. We applaud Essential for the hardware and design of the PH-1. 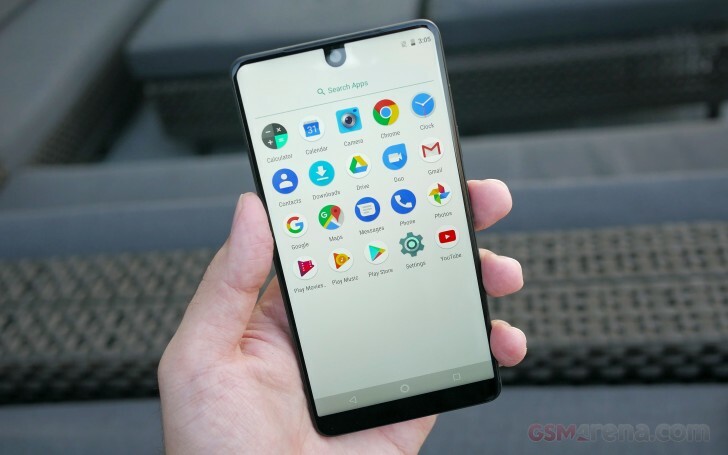 We are really interested in seeing how Essential's first smartphone will age and what the future holds for the company as a whole. Essential isn't only making smartphones, by the way. The company announced its Home hub device alongside the PH-1, so we hope to see some interesting Home integration in Essential's phone as well. We are also hoping to get a great camera out of this guy. 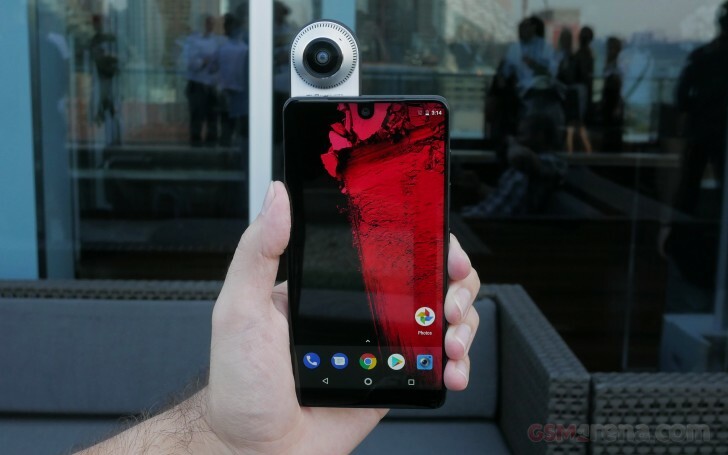 Essential has already shown us the work that has gone into the cameras' tuning and we are excited to test the camera more extensively in our review. When it comes to software, we sort of wish there was something more than a blank canvas. Then again, Essential is out to rub shoulders with smartphones that use bare-bones software like the Google Pixel or the OnePlus 5. Stick around for our full review where you'll find out if you should consider the PH-1 to be your next smartphone.